Going into this season, veteran Avalanche center Carl Soderberg had one of the NHL’s major “albatross” contracts. His five-year, $23.75 million deal, signed with the Avalanche after Colorado acquired his rights from Boston a week before he was due to become an unrestricted free agent in 2015, had three seasons remaining. And he was coming off a horrible season, almost as bad for him as it was for the Avalanche as a team. In a hard cap league, the major problem with that kind of deal for an unproductive player isn’t so much the money — hey, owners can scrape by — as it is the limitations placed on roster flexibility. Buy him out? That’s possible, of course, but particularly painful given the buyout terms — two-thirds the money over twice the time — for a deal that long is stretched over six seasons. The cap goes up, but that doesn’t completely wipe out the impact. So the Avalanche hoped for the best with Soderberg … whatever the best might be. He never was going to be flashy and even in the best-case scenario, his contributions were going to be more intangible than measurable, even in a deep dive into analytics. But Soderberg wasn’t supposed to be invisible, either, and that too often was the case last season, when he had six goals and eight assists. 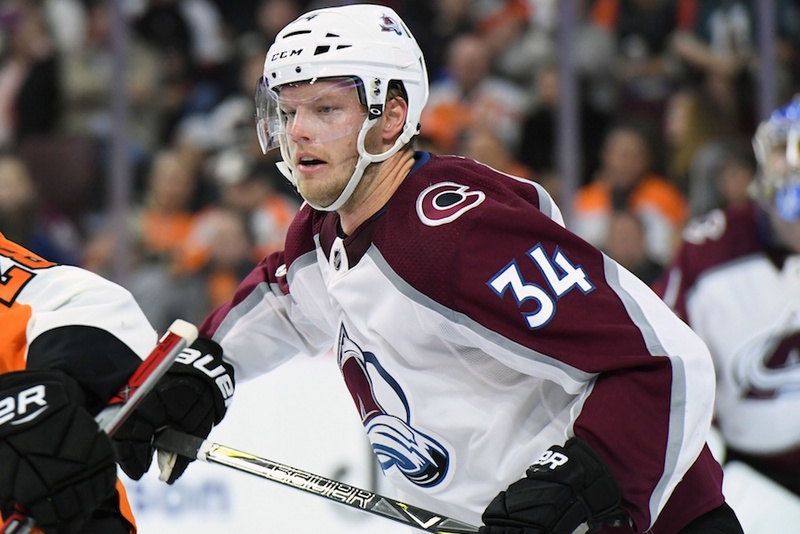 After he had a goal and an assist in the Avalanche’s 6-1 win over the Islanders Sunday night, the 31-year-old Soderberg already had surpassed his totals from all last season, and how has seven goals and 11 assists in 35 games. Soderberg and Blake Comeau have been strong together on the third line all season, with Matt Nieto (who also had a goal against the Islanders) now entrenched on the other wing. Plus, Soderberg also has done strong work on the penalty kill, and the Avalanche has 33 consecutive kills and hasn’t allowed a power-play goal in the past 11 games heading into Tuesday’s home game against Winnipeg. The albatross has turned back into an asset. Did Soderberg — now the Avalanche’s oldest player — have any doubts? Yes, they have. And it has contributed to the Avalanche turnaround. Avalanche captain Gabe Landeskog saluted his fellow Swede. “We all know he’s a good player, we all know what kind of player he is,” Landeskog said. “We know how effective he can be. Their line has been throughout the season and has been one of our most effective lines. Combs and Nitzy and Carl work their bags off and that’s what we need.